Are you searching for a knife that balances beauty and function? This Striped Damascus Bowie with Stand will not disappoint. Display the distinctive steel blade in your den or office and take it with you when there is work to be done. Each piece of Damascus steel displays a unique pattern that forms as the steel is folded and forged repeatedly. The gleaming sculpted brass guard accents this exceptional hunting knife. Layers of red wood and horn have been laminated with white spacers to create the polished handle. A sculpted brass pommel completes the clip blade knife. The fixed blade knife comes with a custom wood stand for display in any room. 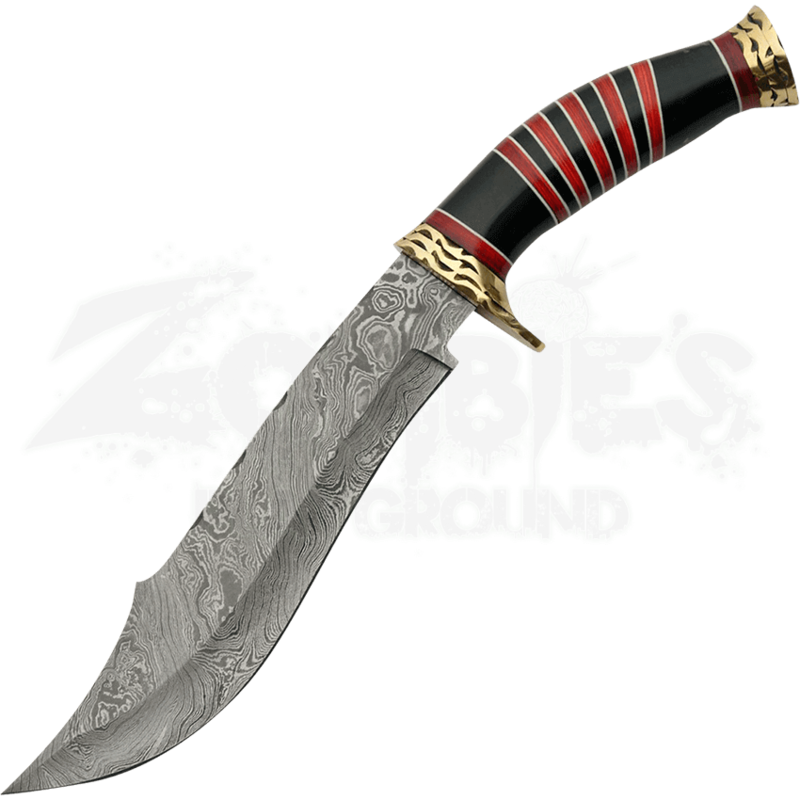 This Striped Damascus Bowie with Stand is an elegant addition to any collection.